After numerous leaks, Samsung has finally unveiled two new Chromebooks made in collaboration with Google. The Chromebook Pro and Chromebook Plus have full access to Android’s app store, offer a 2-in-1 hybrid experience, and stylus support. The Chromebooks share the same, metal chassis and many of the same components, but the Plus is powered by an ARM chip, whereas the Pro packs a more powerful Intel M3 chip. 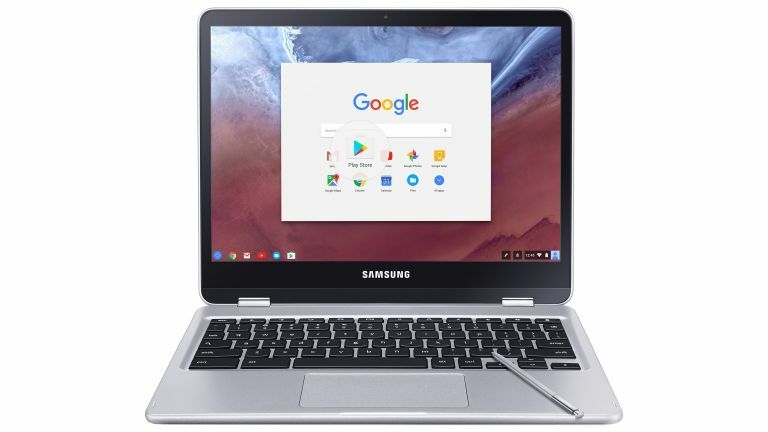 Elsewhere in the specs department, the new Chromebooks feature a 12.3-inch screen with 2400 x 1600 resolution, 4GB of RAM, two USB Type-C ports, (which support charging and 4K video output), an SD card slot; and 32GB of internal storage. They only weigh 1.08Kg, and measure just 13.9mm thick. The Pro and Plus both comes with a stylus (very similar to the Note 5’s), which can be used to write and draw on the touchscreen. The stylus can be used to take notes in Google Keep, which become searchable through Google’s optical character recognition. The addition of apps from the Google Play store make these Chromebooks a very tempting package. The Chromebook Plus will retail for $449 in the US, with the Pro’s pricing yet to be announced.